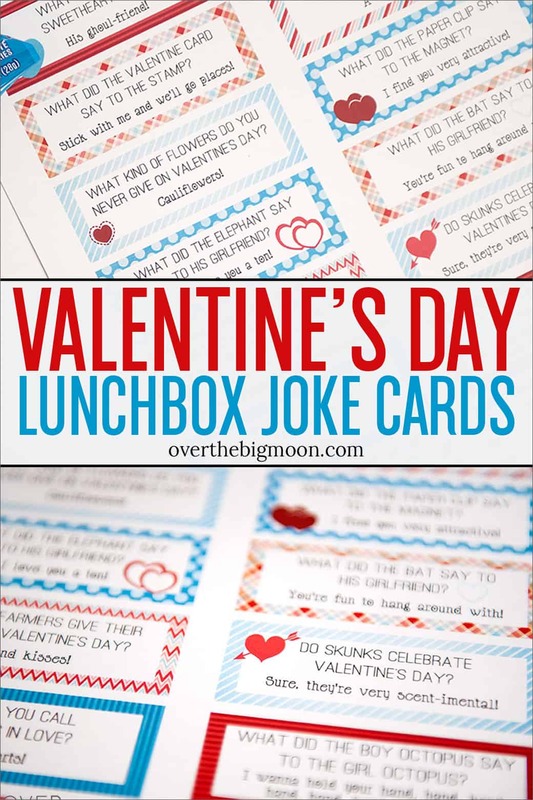 These Free Printable Valentines Lunch Box Joke Cards are a fun way to celebrate the holiday all month long! *This post was originally published in January 2013 and has been updated! My Elf on the Shelf Joke Cards were such a hit in lunches over the Christmas holiday. I decided to make a set of them for Valentine’s Day. One for each Day of February until Valentine’s Day. 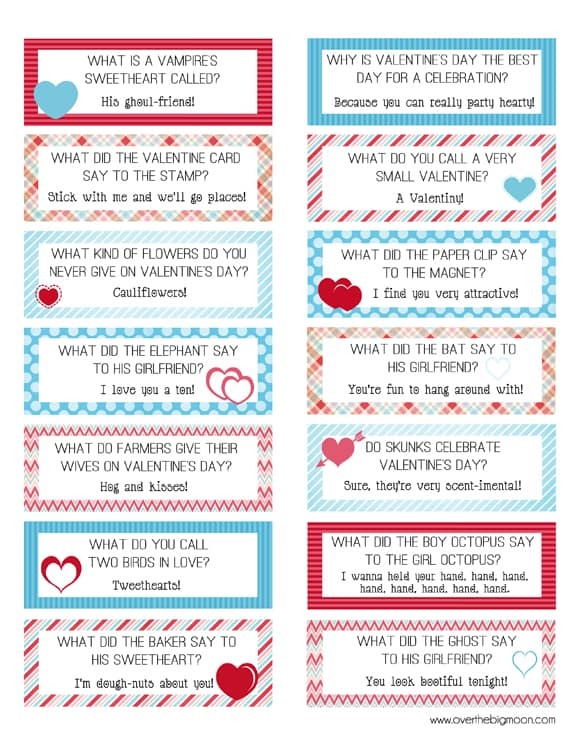 If your kiddos don’t eat home lunch, I think it would be super fun to even put the joke cards under their pillow each night! Download the printable below! I suggest printing on cardstock, so they’re a little more sturdy! 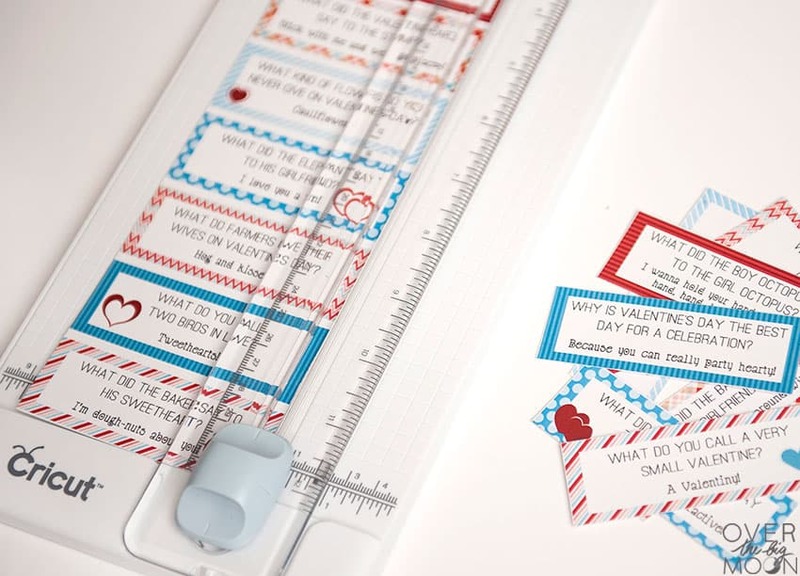 Then trim using a paper trimmer! And that’s it! I plan on putting them in home lunches for the entire month of February all the way until Valentine’s Day! 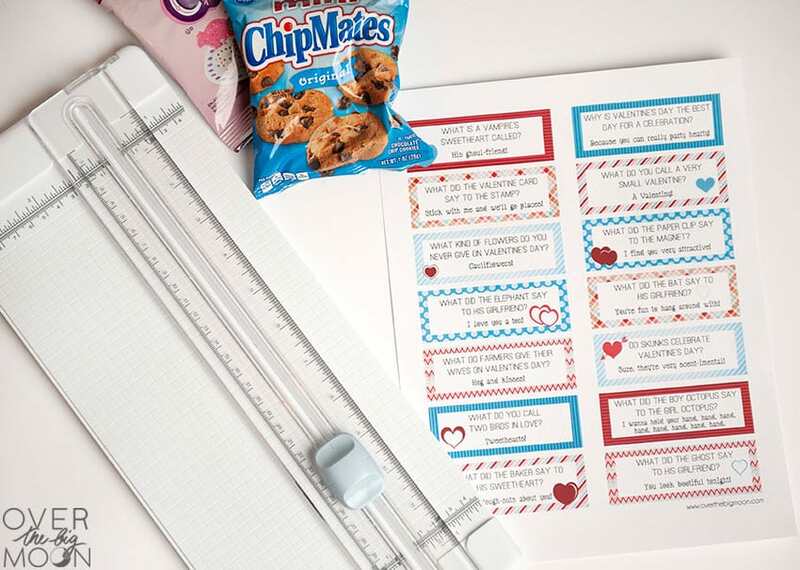 If you love this idea, check out these other fun Valentine’s Day traditions! 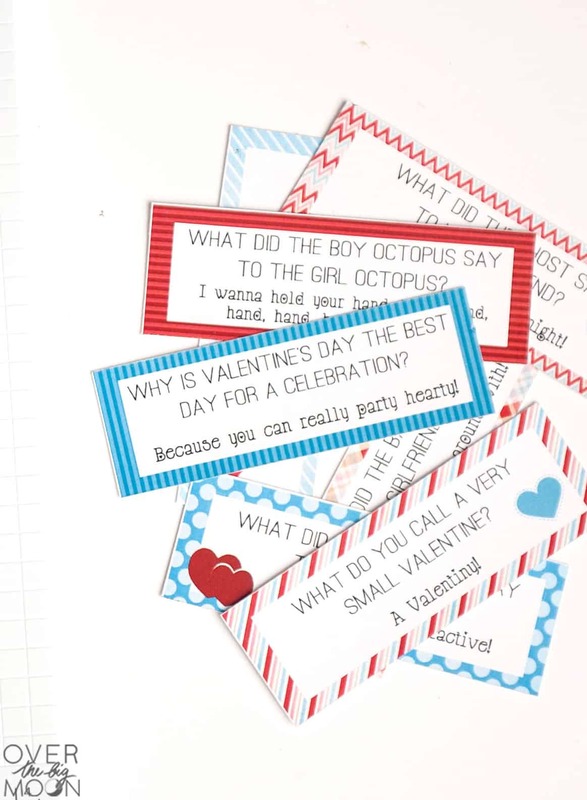 Download the Valentines Lunch Box Notes below by clicking the button and then saving to your computer! Thank you for these…very cute! My grandson is going to love this! Thank you for sharing! I wasn’t able to get the download link to work, it kept timing out. But I just printed the jpeg you posted and it still looks nice. Still, I thought you’d want to know in case there’s something that needs fixing and it’s not just my computer. Oh, and thanks again! Thanks! My son LOVED the Christmas ones you made, so he’ll be really excited to get these in his lunchbox next month. Really appreciate all the cute things you make and share with us….thanks so much! Was looking for something like this, any way you could make 14 more? I wanted to attach them to my daughters valentines but wanted every kid to each have a different joke. Super cute, thanks! Thanks! My grandkids will love these little surprises.